Now you don't have to wait to fly! 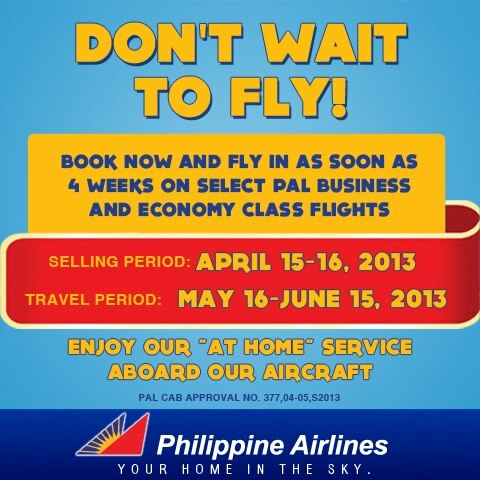 On select PAL Business and Economy class domestic flights, you can book and fly in as soon as 4 weeks! Selling period is only until April 16, 2013. Travel period is May 16 to June 15, 2013. Book now and fly in as soon as 4 weeks on select PAL business and economy class flights!